Why Does Jon Klein Want to Hurt America? Look, it's one thing for CNN president Jon Klein to destroy his network, which he has steared steered to last place in the cable news sweepstakes. But now, with the news that Lou Dobbs is leaving CNN, Klein runs the risk of destroying America. Don't believe me? Allow me to explain. Until January, how many of you had heard of Glenn Beck? Not many, I bet. That's because from 2006 to 2008 Beck's show was on CNN's Headline News, where hardly anybody watched it. Which means that Beck couldn't do much damage. But then last October Klein allowed Fox News to hire Beck away and, well, you know the rest. Thanks to Roger Ailes's singular talents and a built-in audience for his particular brand of lunacy, Beck saw his viewers grow from about 400,000 to 2.6 million and now he'll probably be president one day, or at least a constant irritant like Limbaugh. What does this have to do with Dobbs? Well, for the last year or more, Klein has been taking hits from groups like Media Matters for employing Dobbs at the same time he's been arguing that CNN is devoted to straight journalism rather than sensationalistic punditry. And it's true, it was completely hypocritical of Klein to keep a xenophobic, birther-conspiracy-mongering blowhard like Dobbs on the air while the CNN president criticized Fox and MSNBC for sensationalism. But who cares if he was being a hypocrite? By keeping Dobbs on CNN--where he had about 650,000 viewers--Klein was protecting the rest of us. Consider CNN like a quarantine for dangerously demagogic talk show hosts. 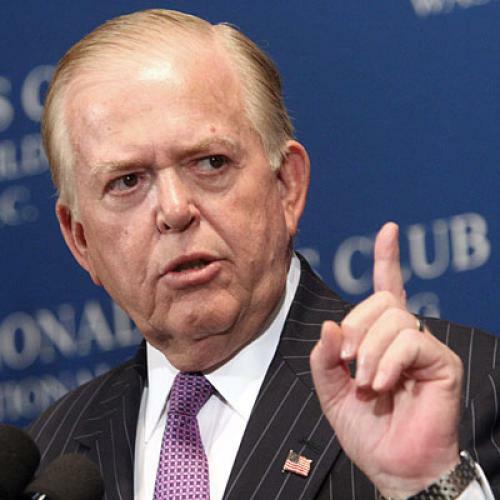 But now that Klein has released Dobbs from the CNN quarantine, what's to stop Lou from teaming up with Ailes, who is reportedly considering him for the Fox Business Channel? And then, well, we've already seen this play before. Anyone want to bet that a year from now, Dobbs will be flourishing with millions of viewers at Fox and the whole country will be a lot worse off for it? And CNN, of course, will still be mired in last place--which would be perfect, save for the fact that, thanks to Klein, Beck and Dobbs won't be stuck there with them.